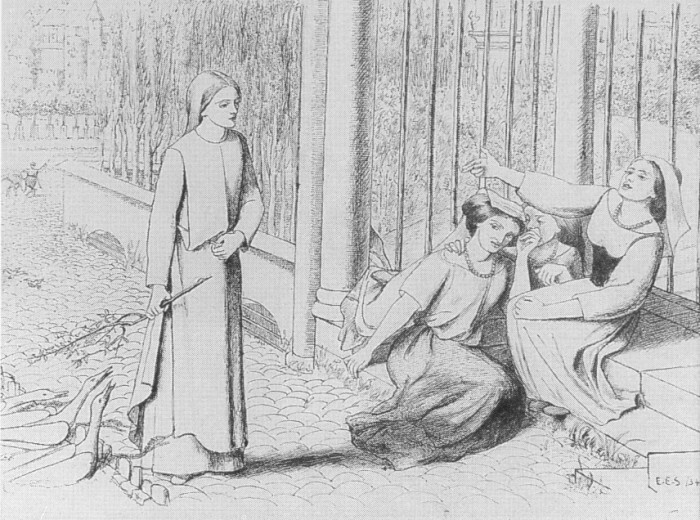 An illustration to Robert Browning's dramatic poem set in the fourteenth century Asolo, showing Pippa's encounter with the 'loose women' of the streets gossiping about their clients. Copyright 2000 by Chris McCormick. E-mail questions or comments to livelikemad@yahoo.com.